Looking for a sweet and simple way to wrap up a handmade knit gift? 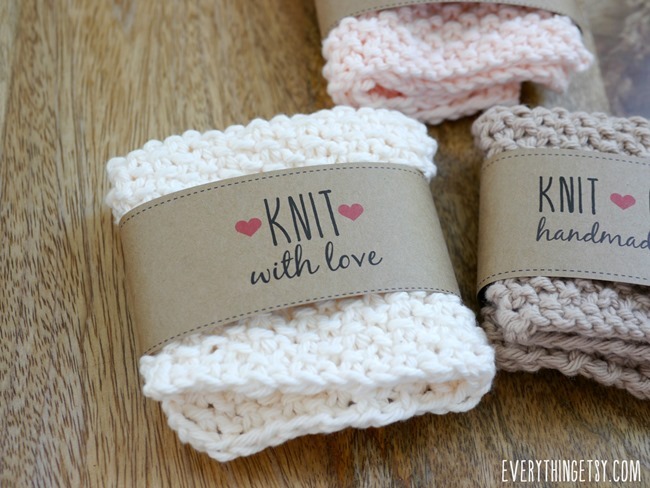 You’ll love these free printable knit labels! Your handmade gifts will look ready for a boutique in seconds! I had such an awesome response to the crochet gift labels I shared a couple months ago…and a few of you that like to knit felt left out. So, I fixed it! I created three Knit Goodness Label designs to wrap around your wash clothes, socks or any other small knit creations you whip up. 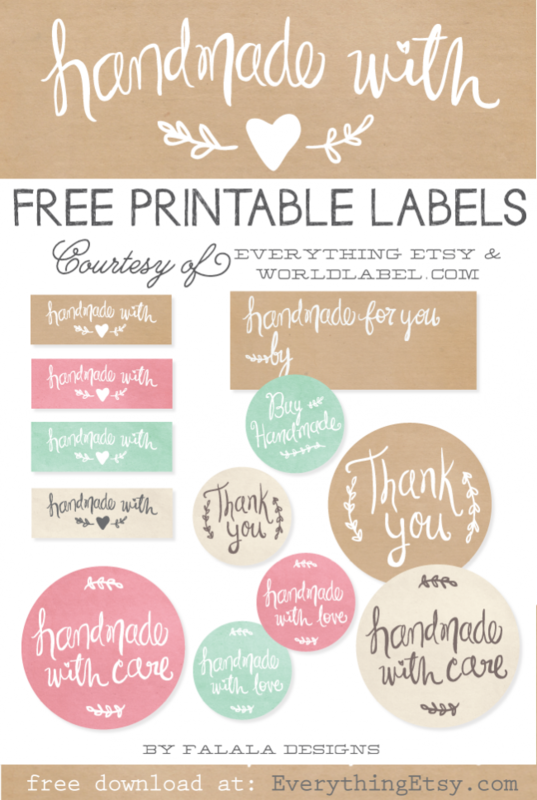 Print out your labels, cut them and add a pretty piece of washi tape to the back to secure it. Then spread a little knit goodness to your friends and family. They’ll know right away it was handmade with love! 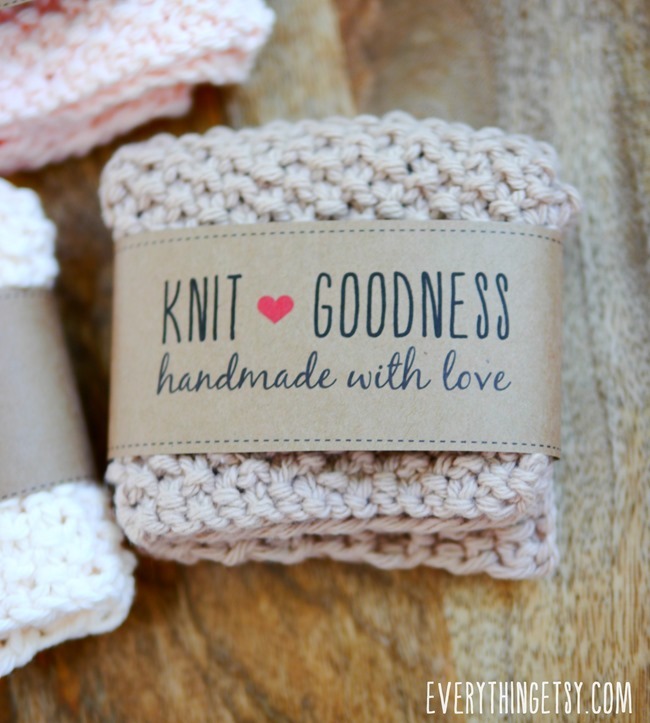 You can download your Knit Goodness Labels right here. 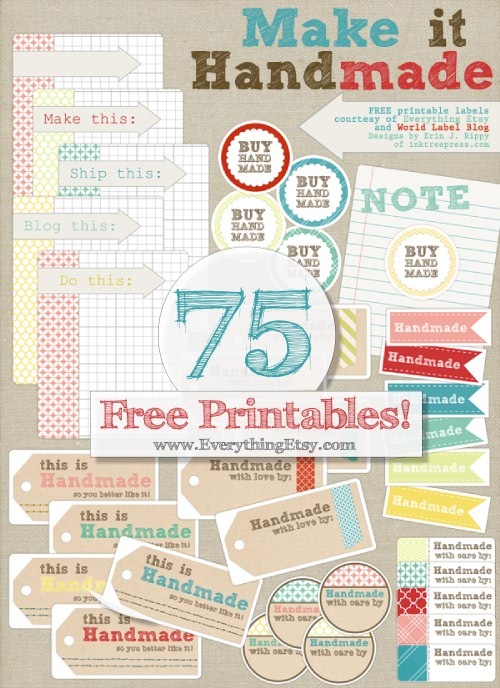 Looking for some crochet labels?? Check out these free printable crochet gift labels. They really do make your crochet gifts look special, don’t you think?! I love when I get a gift that’s wrapped up cute, don’t you? Have fun getting creative! 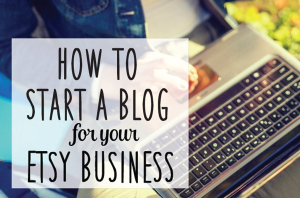 You can find lots of my favorite projects, tutorials and videos in our Everything Etsy Gallery. What kind of yarn projects are you working on right now? I’d love to hear about them! I’m excited to be teaching a crochet class at this year’s Snap Conference coming up at the end of the month. I love any excuse to make tons of cute thing with yarn! these look so scrumptious! The colours, the label, everything! I NEVER take the time to leave comments but I just had to. 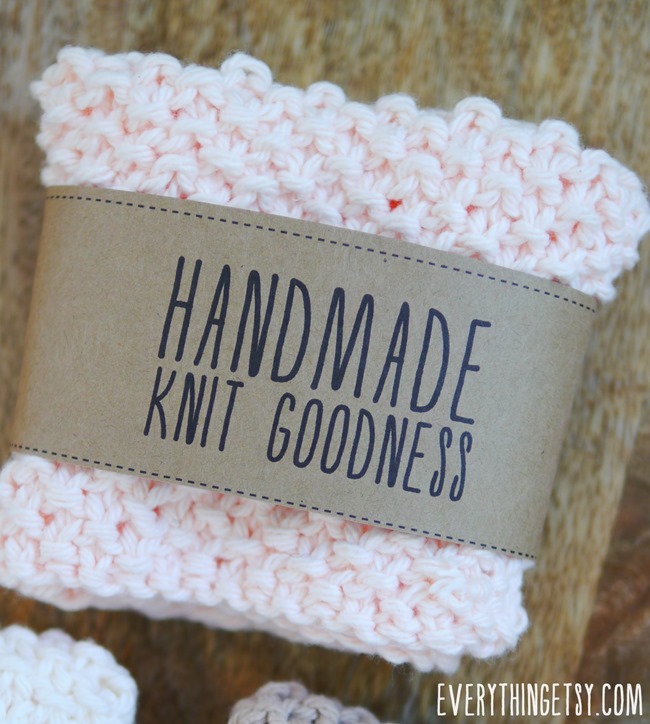 This is my fave kind dish cloths and I want to learn how to knit these just like this! Thank you for the labels, how sweet and delicious of you to do that! Your colour choices look like Neapolitan icecream! Can you please tell me your needle size, yarn choice and pattern? And come to California to teach me? I’m very curious to know what dish cloth pattern you used as well! Have you done a post on quick handmade gift knitting? I’d love some ideas… All beautiful! How kind of you to share these items: you are very talented. Thank you so much! Hi there, just wanted to say thank you for the crochet lables. 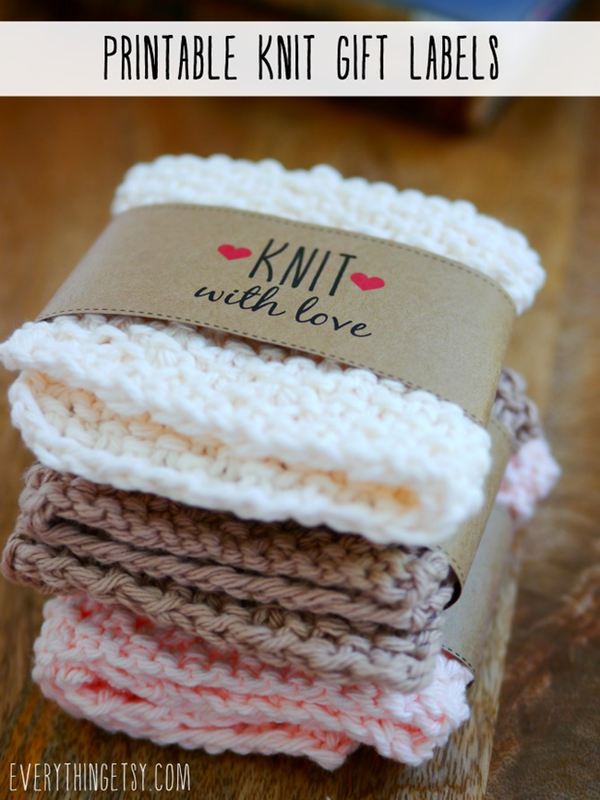 I crochet so many small items and this is such a cute way to make a special gift for someone. SWEET INDEED!! 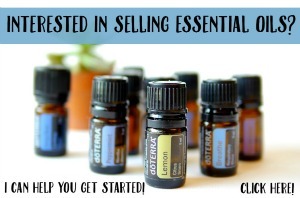 It’s so nice you share these for free! I printed out the knit and crochet dishcloth wrappers and am using them for a charity fundraiser I support. I have made 45 so far, half knit, half crochet; I so appreciate your generosity in making my dishcloths look crafty and classy! Since I donate my time and materials anything I get for free is just a big bonus!! You are a sweetheart!!! Thank You for all you share.